Blast Off 50" x 50"
1 very dark grey/black for the rockets. 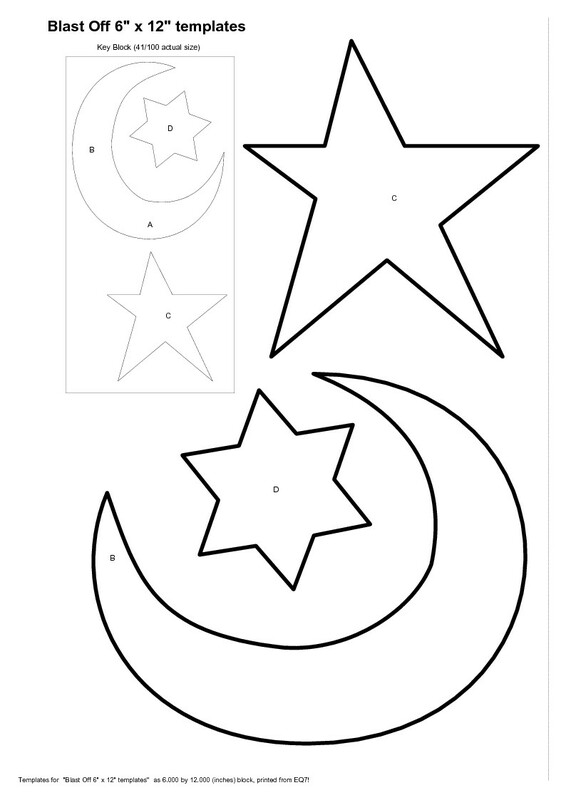 You can make the rocket and star appliqués from 3/16 of a yard each. You will need to add 3/4 yard for binding and 2 1/2 yards for backing. 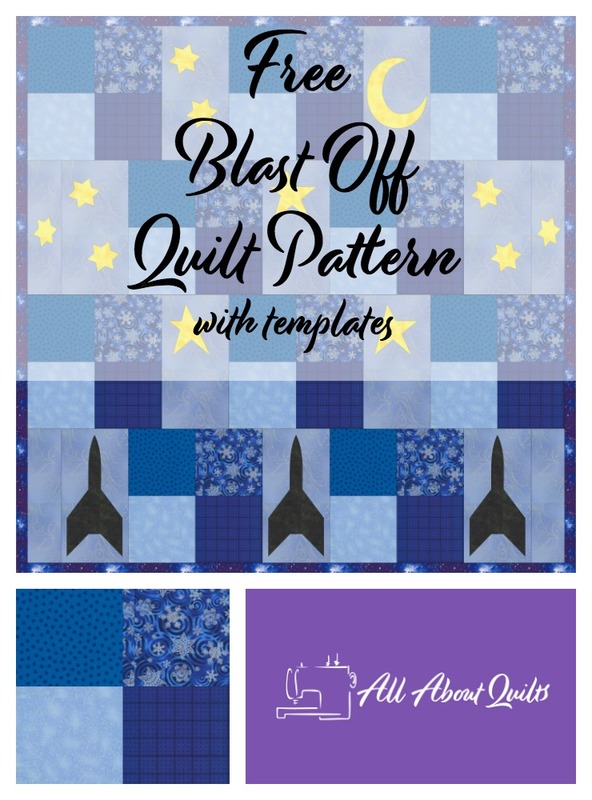 I have also added my 2 favourite supplies I find help me get great results making appliqué blocks and also squaring up my blocks before sewing them all together into a quilt. 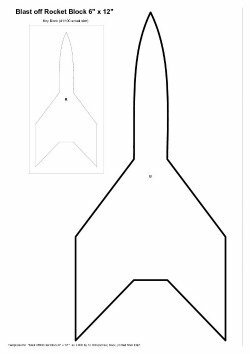 3 1/2" x 12 1/2"
40 - 6 1/2" x 6 1/2"
To download the pattern and appliqué templates click on the relevant image below. 1. Cut out the blue backing blocks first. 2. Sew together the four patch blocks. Trim. I use my rotating cutting mat to trim all my blocks as I find it quicker & more accurate. Below I have added one from Amazon. Mine is a 12" but I couldn't find that size from the brand I use. I've bought other brands of cutting mats but found they don't wear as well as Olfa's so I haven't listed them here. 3. 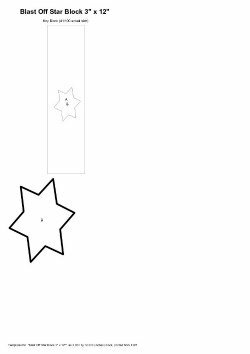 Prepare the appliqués according to steam-a-seam (or similar) instructions. 4. Arrange blocks in desired format. 5. Sew blocks together in rows first then sew the rows together. 5. 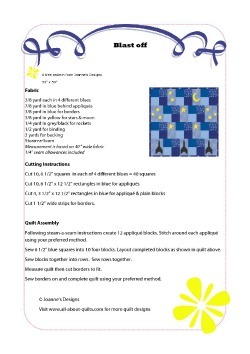 Remember to measure your quilt top in 3 places to get an average measurement before cutting your borders. 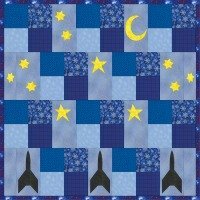 My advice is to always cut your borders to match the actual quilt, rather than follow the pattern measurements. I hope you enjoyed Joannes Designs Week4. 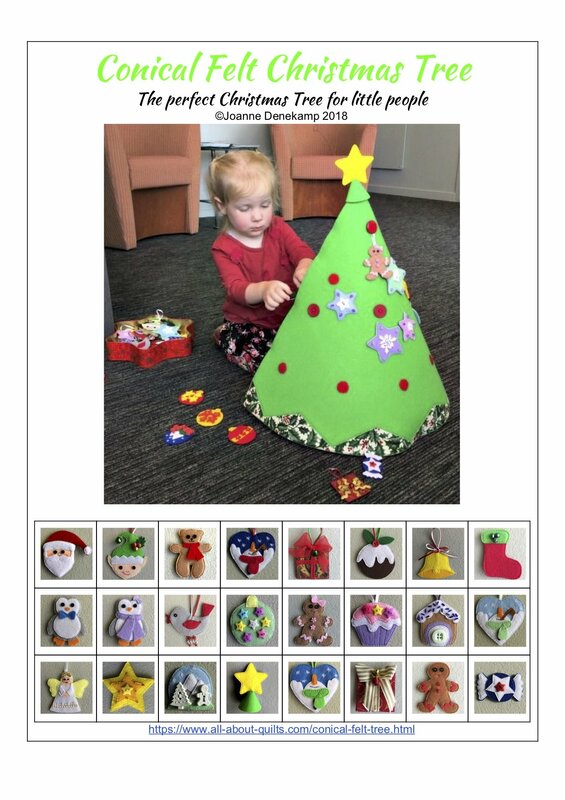 Just 48 patterns to go!